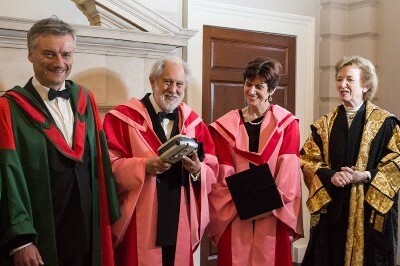 Lord Puttnam's interest in education has been both enduring and extensive. The need to broaden the opportunities afforded by education has been a constant goal, as is the necessity for every child to have a quality of educational experience that allows them an equal chance to succeed. 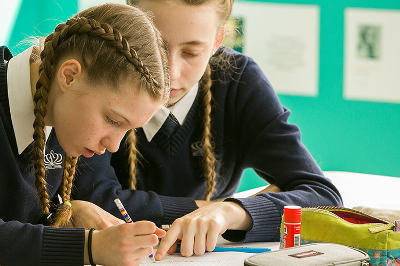 A key driver behind these objectives is Lord Puttnam's own memory of school - his experience in the classrooms of the 1950s was almost wholly negative, having been taught to see himself as incompetent and unlikely to go anywhere in life. The realisation that his experience must have been mirrored by those of thousands, possibly millions, of other students has encouraged Lord Puttnam to work ceaselessly for improvements in education and teaching practice. In the early days of his career he became involved with the National Film and Television School, where he acted as a Governor (1974-1987) and Chair (1987-1996). In 1998, he became Chancellor of Sunderland University, a role that opened up a whole new area of interest, including the extension of third level education to disadvantaged areas. Teachers are in all respects the life blood of education ... The work of teachers has unique and demonstrable outcomes on the health, wealth and welfare of every person in this country. My belief is that education is the one key driver in enabling people to fulfil their potential, and therefore the sole means by which we can hope to deliver equality and social justice. His ongoing interest in the destruction of distance in education found a natural home at the Open University, where he acted as Chancellor from 2006 - 2014. Following his appointment to the Education Standards Task Force in 1997, Lord Puttnam developed a keen interest in teacher recruitment, teacher morale and teaching practice, which led quite naturally to the establishment of the National Teaching Awards in 1999. This commitment to the teaching profession was recognized by his appointment as inaugural Chair of the General Teaching Council, and has more recently been apparent in his tenure as Chair of the TSL Education Advisory Board. In particular, his involvement in establishing the TES online community in 2008 has allowed teachers to converse, support and learn from each other across Britain and the world in a fully accessible digital forum. He also currently chairs the Cultural Learning Alliance, an umbrella group of 10,000 cultural organisations and leaders committed to utilising the arts for the empowerment of underprivileged children. 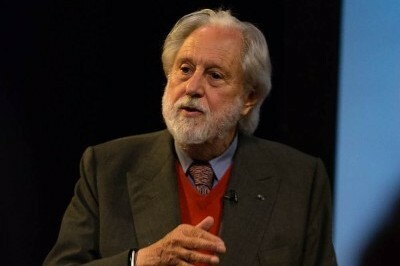 His commitment to distance-learning and innovative teaching practice still resonates today: as Chair of Atticus Education, Lord Puttnam delivers interactive seminars to universities around the globe from his home in west Cork. Education has allowed me the opportunity to engage with people who, every day of their working lives, are attempting to mould the ‘building blocks’, the quality of which will determine our ability to secure the future. These ‘building blocks’ are, of course, our children; and the people I find myself working with are their teachers. Children and young people are our single most precious asset and I want to help to achieve a more secure and imaginative future for them. That requires that we become significantly more imaginative - most particularly in respect of the way in which we work with our young people. He believes we have no choice but to embrace the immense power of the most recent digital technologies in teaching and learning at every level. Such technology - mobile telephony and the internet in particular - has fundamentally reshaped the way in which people of every age connect with, make sense of, and engage with the world. As Lord Puttnam argues "we need the world of education and learning to embrace these technologies in ways that make the present rate of progress look exactly what it is - woefully inadequate." The possibilities of digital education! 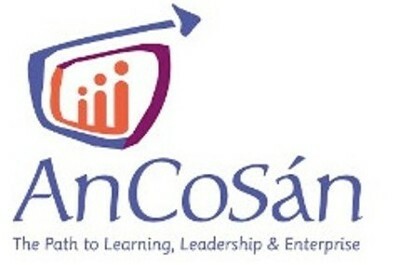 University College Cork has announced the six recipients of the prestigious Puttnam Scholarship. 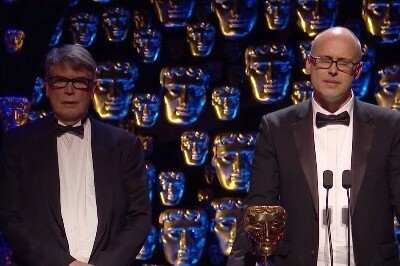 They are set to host an innovative series of seminars, with the support of Pinewood Studios. 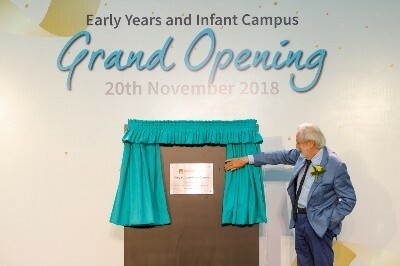 On 20th November, Lord Puttnam opened the Early Years & Infant Campus of The British International School, Vietnam. The Screen School at London College of Communication, UAL is looking to recruit an academic lead for new EMBA. 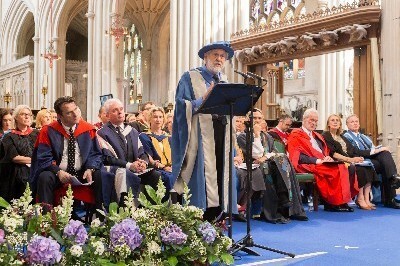 Oscar-winning producer David Puttnam launches a new scholarship scheme with UCC. 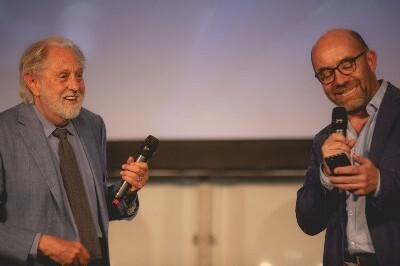 At MIPCOM yesterday, Lord Puttnam & London College of Communication,UAL launched an EMBA for screen industries. At MIPCOM, Lord Puttnam outlined details of an EMBA for the Screen Industries with UAL, set to start in Sept 2019. The education system must quickly adapt to deliver the learning students deserve to thrive in an uncertain future. Lord Puttnam visited Walthamstow School for Girls to see a revolutionary new pedagogy that’s been trialled there. 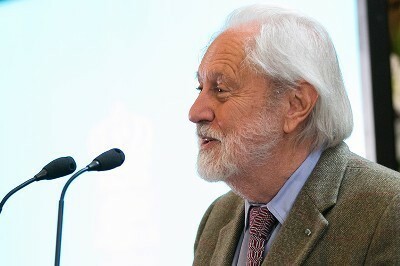 Lord Puttnam presented the first ever ‘EdWards’, at the London Festival of Learning on June 28. 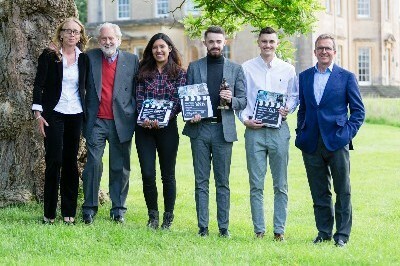 Oscar-winning film producer awarded three Bath Spa University students a bursary under the Puttnam Scholars Scheme. 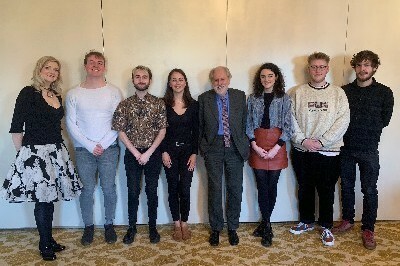 Lord Puttnam has awarded three Bath Spa University students a bursary under the new Puttnam Scholars’ scheme. 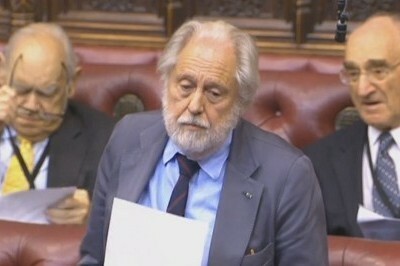 Lord Puttnam underlined the urgent need for government to solve their educational pipeline problem. Lord Puttnam is joining RMIT University as an Adjunct Professor. 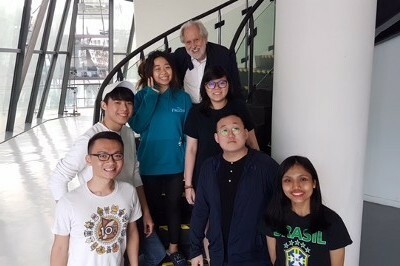 Lord Puttnam travelled to Asia this week to spend time with his students at La Salle & to visit Nord Anglia HK. Lord Puttnam has launched a 'Puttnam Scholars' scheme with the University of Sunderland. 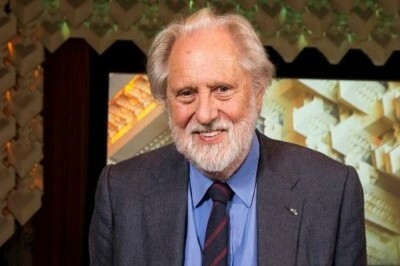 Puttnam set to give Chancellor’s Distinguished Lecture on 7 November, which discuss media in the digital age. 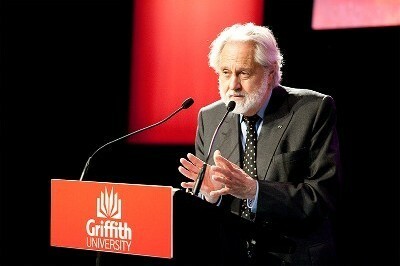 Lord Puttnam delivered lecture on 'Creative Collisions' to a sell-out crowd at Griffith Film School this week. 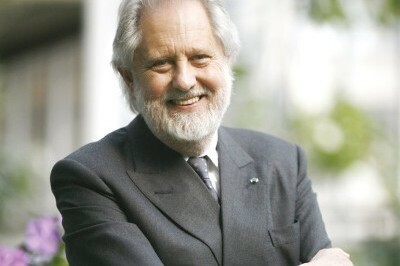 David Puttnam named school’s life president. “It’s a mistake to think that deprivation exists only with the very poorest in society..."
Lord Puttnam attends the Pearson College Graduation Ceremony. Trade Envoy, Lord Puttnam meets with the Deputy Prime Minister of Vietnam, Vu Van Ninh. Lord Puttnam shares his views on education in 2015 for the BERA blog. 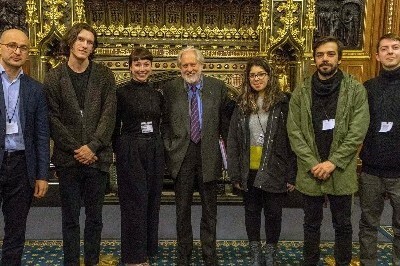 David Puttnam, Labour peer and film producer, was the speaker at The Marketing Society's Annual Lecture this year. Lord Puttnam launches ‘Shaping the future How Technology Can Lead to Educational Transformation’. Lord Puttnam launches ‘Shaping the future - How Technology Can Lead to Educational Transformation’. What do you think is the definition of Cinema? 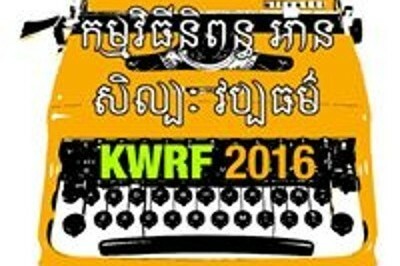 The first Forum for Responsible Business in Cambodia was held in Phnom Penh. Lord Puttnam shows the importance of digital sills, such as coding and open systems, at all levels of education. The Oscar-winning producer tells Ciara Dwyer how night school was the making of him. Lord Puttnam gave advice to young people when he visited Glasgow. 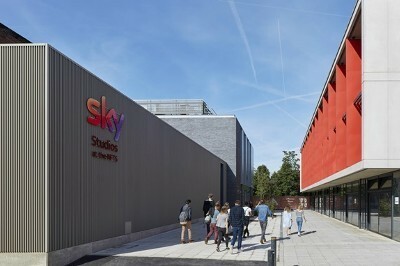 Academy Award-winning film producer Lord Puttnam has opened a new building at Bath Spa University. 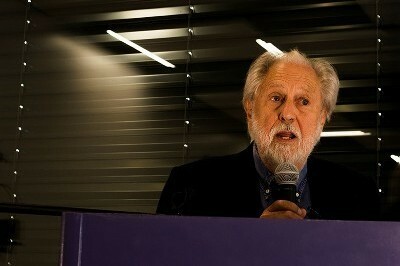 Ireland's digital champion Lord David Puttnam spoke at the EXCITED digital learning festival. 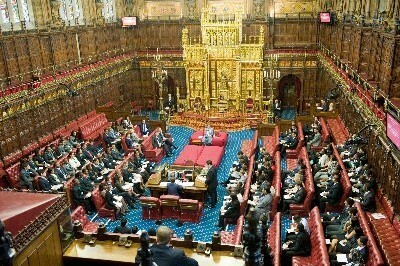 Millions of young people have had their futures stolen by the foolishness of our political and business leaders. Fear of technology may hold back change in education. Lord Puttnam spoke at the Norwegian Conference on Schools in Digital Development, Oslo on November 14, 2013. 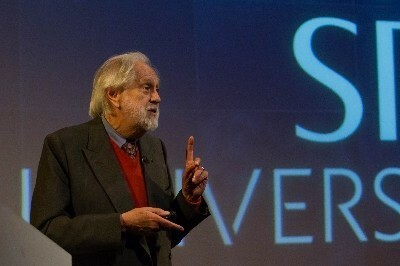 "David Puttnam was at the University of Sunderland on March 27th and 28th giving lectures in the Media Centre"